It seems like only 2 weeks ago that I was sitting at the same table. Oh, wait, I was! The Great One has a house guest she needed to bring to The Chairman (大班樓), and naturally she was looking for additional mouths to help put away the mountain of food she was ordering. So Hello Kitty and I dutifully joined the feast - which made Hello Kitty very happy because she's been complaining about me dining at The Chairman without her. 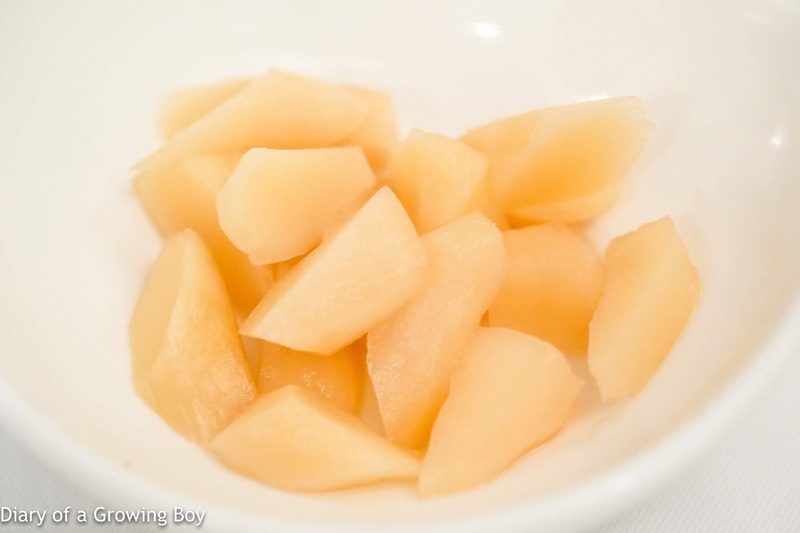 Pickled mid-summer ginger root (大班樓子薑) - our visitor was visibly impressed with this first nibble. 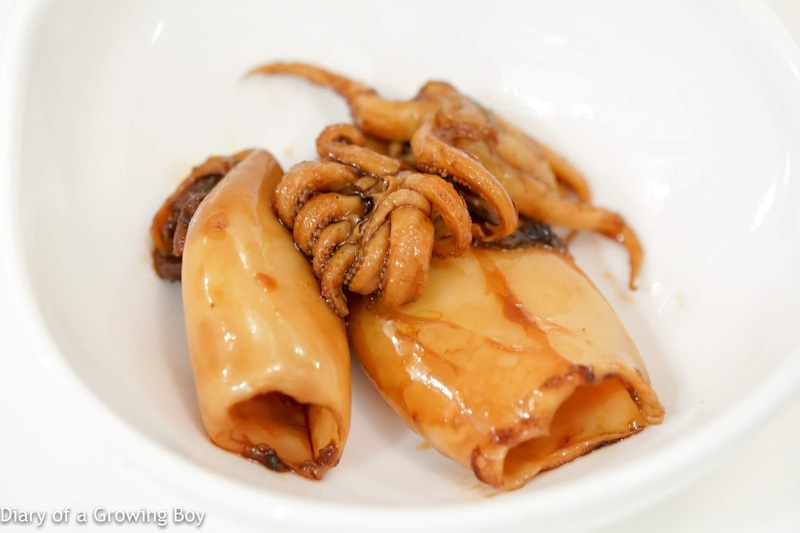 Baby squid in soya marinate and Szechuan pepper (滷水花椒吊桶仔) - just as it was two weeks ago, the baby squid was incredibly soft and tender. And the master stock included a hint of Sichuan peppercorns. 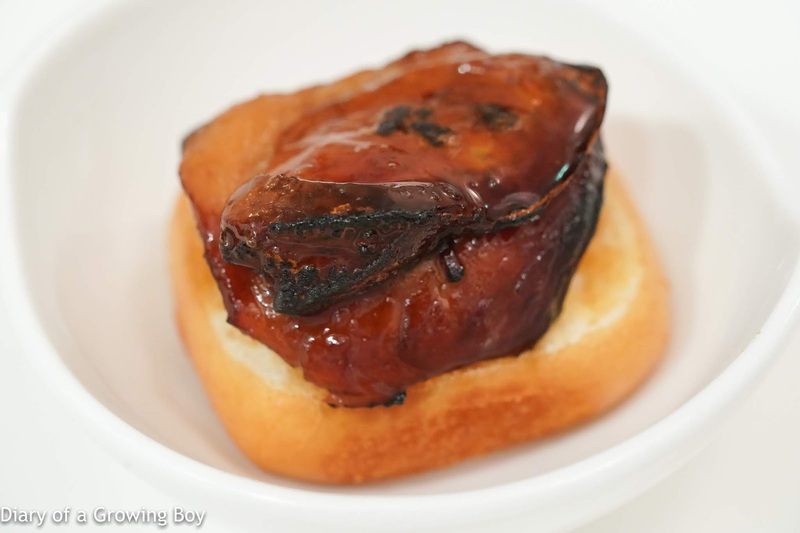 BBQ chicken liver and Chinese buns (古法金錢雞配饅頭) - AH YESSSSS... yet another two mouthfuls of heavenly goodness. 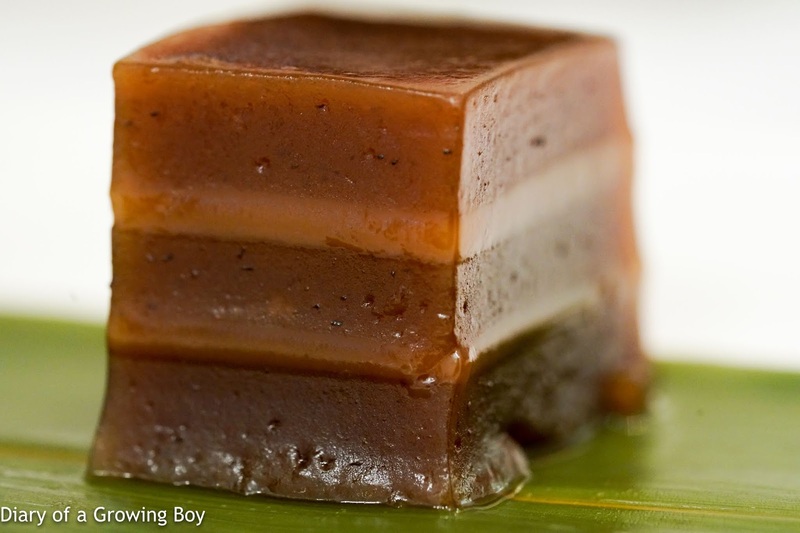 How could I resist the stack of barbecued pork, cured pork lard, and barbecued chicken liver all coated in a glaze? Impossible. Crispy lard and salted egg dumplings (脆皮椶) - these have always been very tasty, as the salty egg yolk and pork belly add plenty of flavors. 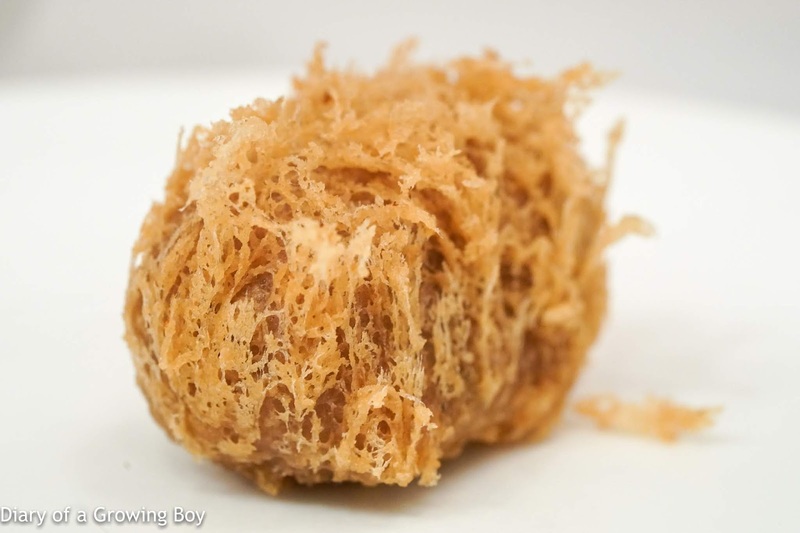 I do prefer these with the soy paste rather than the chrysanthemum sugar. 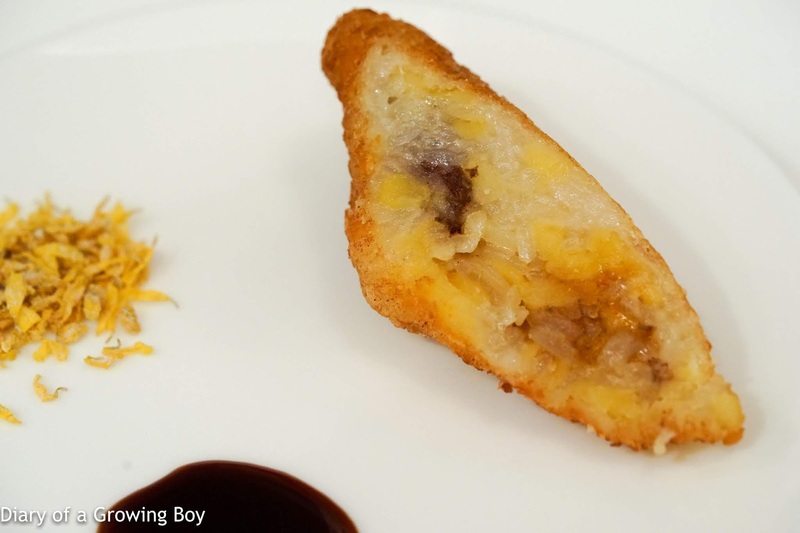 Deep-fried crispy taro cake with smoked duck (蜂巢芋泥煙鴨盒) - this is something I have always loved... That double layer of taro mash - with the outer layer deep-fried to crispy waves that crumble at the slightest touch - is what really gets me excited. 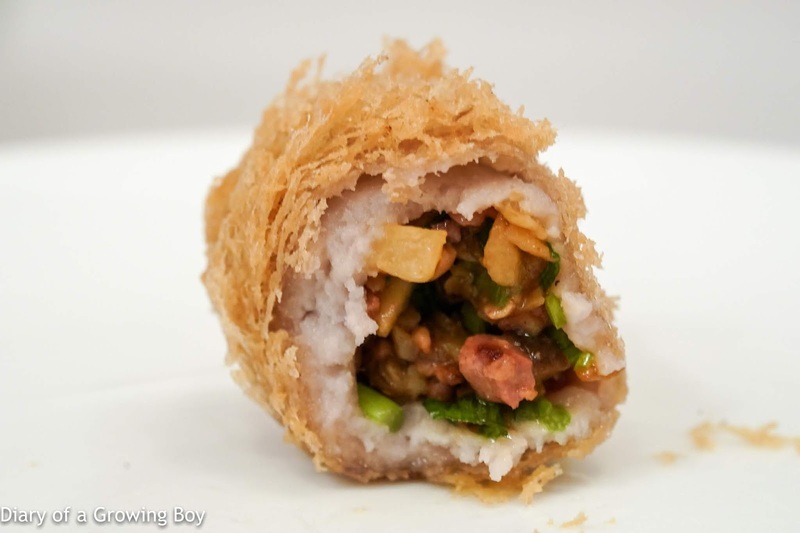 Today this was stuffed with diced smoked duck, shiitake mushrooms, water chestnuts, and coriander. I wish I had another one of these. 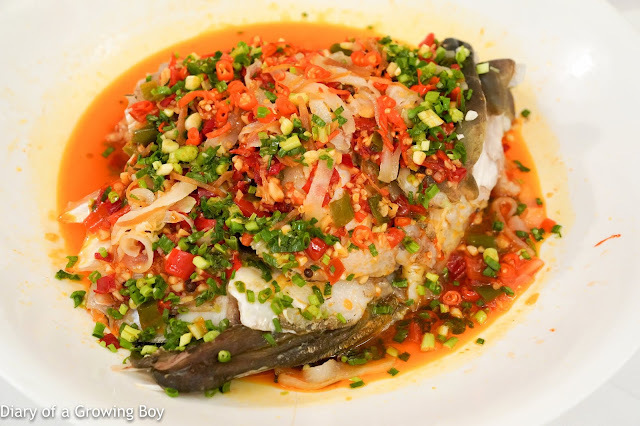 Steamed fish head in pickled chili (剁椒龍躉頭) - tonight we went back to having half a fish head, and in this case the head from a giant grouper (龍躉). 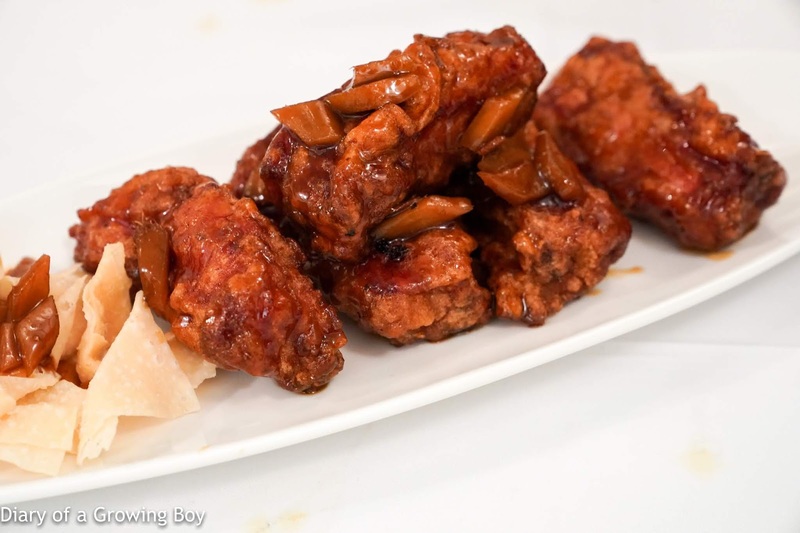 Made with three different types of chilis as well as garlic and spring onions. This was so, soooo good. Braised spare ribs preserved plums in caramelized black vinegar (話梅肉桂糖醋排骨) - it's been quite a while since I last had this dish, and it was as enjoyable as I remembered. What's not to like about food that's got a crispy batter around it, especially when it's also got a delicious glaze? Oh and those pieces of young ginger again... but this time in the black vinegar. 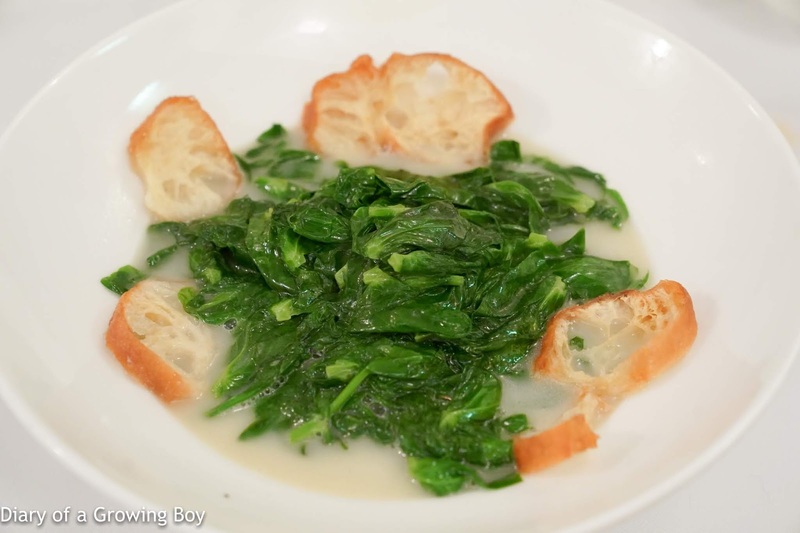 Layered beancurd and bean sprout cooked in homemade fish broth (魚湯腐皮浸豆苗) - pea shoots are still in season, so they're just so, sooo tender. Fish broth is always good with veg, and makes for a homey, comforting dish with mild flavors. Crab meat sticky rice (蟹肉糯米飯) - always a good way to finish up the meal. 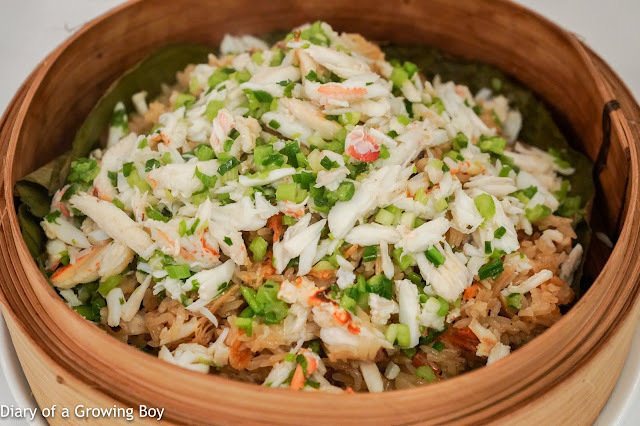 Just loooove the flavors of the sweet crab on top of the glutinous rice. 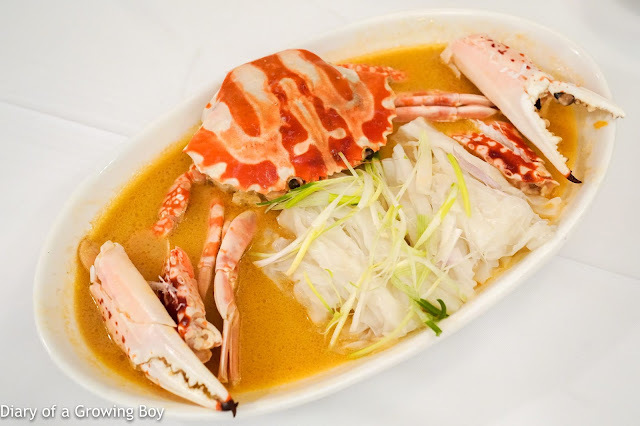 And OF COURSE we took the leftover sauce from the steamed crab and drizzled it on! 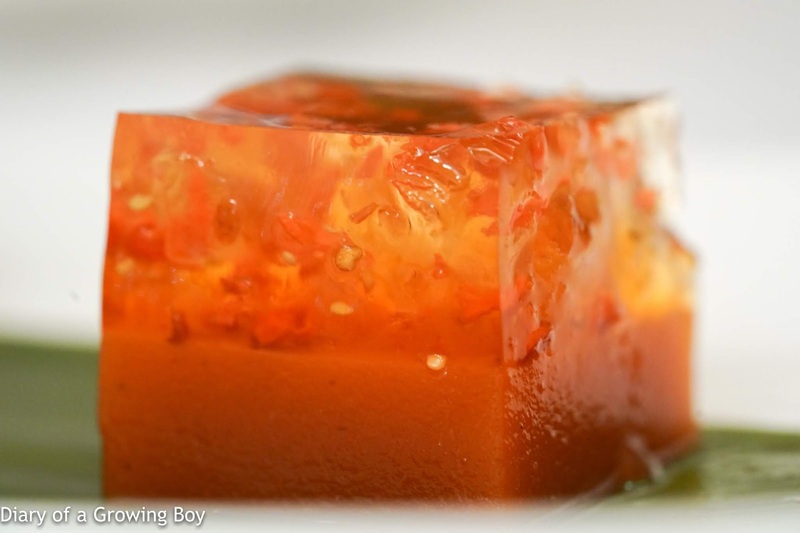 Hawthorn berries pudding (山楂糕) - with osmanthus and peach resin (桃膠) as the top layer. The Kat and I brought along a couple of bottles to go with the dishes. 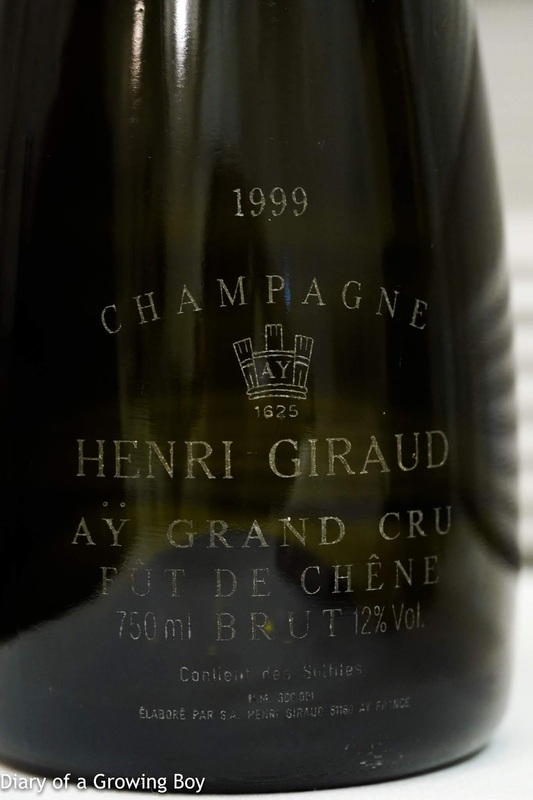 1999 Henri Giraud Fût de Chêne - nose was salty and mineral, like salty plum, with a hint of Chinese licorice. Beautiful wine showing its age. 2004 Joh. Jos. 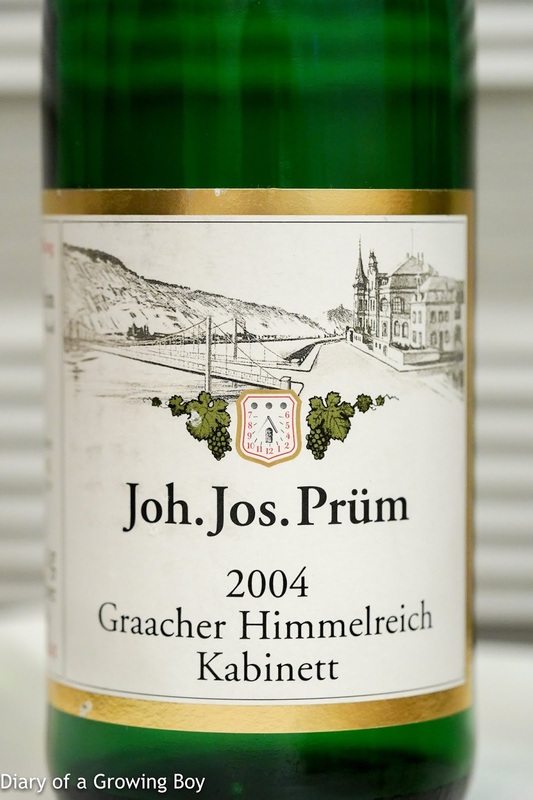 Prüm Wehlener Sonnenuhr Riesling Spätlese - polyurethane, flinty. Nice acidity and ripeness. 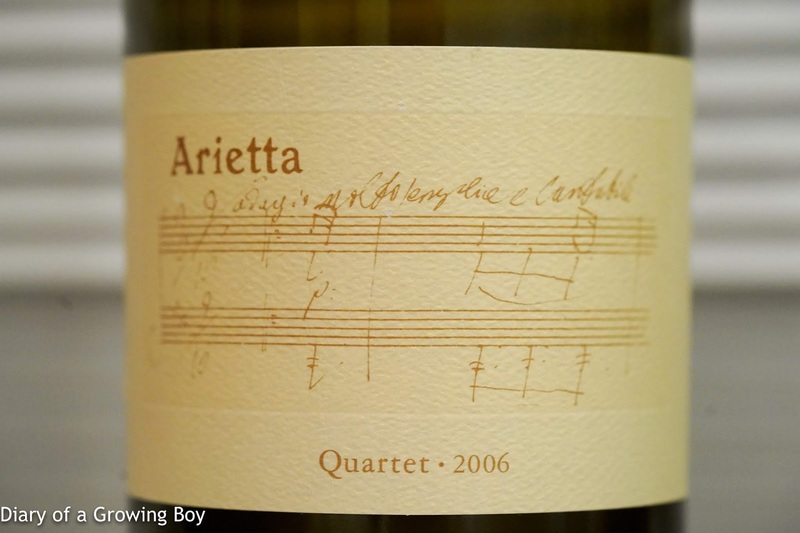 2006 Arietta Quartet - lots of eucalyptus, potpourri, a little coconut and vanilla. A little smoky with grilled meats. Beautiful. A little sweet on the palate but not too intense.